Almighty God, The Father and our Messiah, His Son loves us even if we haven’t loved them. God shows His love by giving us His Son and the Son loves us by dying on the cross. You were bought with a price – with the blood of Christ. God seeks emotional and spiritual wealth in every soul. No man is safe for a day or an hour without prayer. A man repeatedly reproved but making his neck hard will suddenly be broken, and that without healing. The attainment of ‘Wisdom’ belongs to the aged and understanding to the old. If you allow Almighty God to mold and shape you; your character will indeed be reflected in you. Put Almighty God first in your life and He’ll walk with you in every step you take. Ashes are the remains of disobedience, rebellion, lust and sins of man towards God. Man’s greatest enemy is Death itself. Make money your god and it’ll plague you like the devil. Life is too short to be bitterly angry. There’s awesome power in a clear, clean and blameless conscience. Your strength is small if you crumble at minor obstacles or challenges. Draw your Sword of Truth from God’s Holy Words and fight the Enemy of deceitful lies that comes in a cloak of angel light. If you fervently desire eternal life; put worldliness behind you. The intent of the heart makes the character of the man. Out of the heart comes what a person is. There’s great power in prayer when there isn’t an iota of doubt. When storms of life is at it’s fiercest moment; gird on the tenacity of Faith in God without wavering nor doubting. He who is not contented with what he has will not be contented with what he doesn’t have. 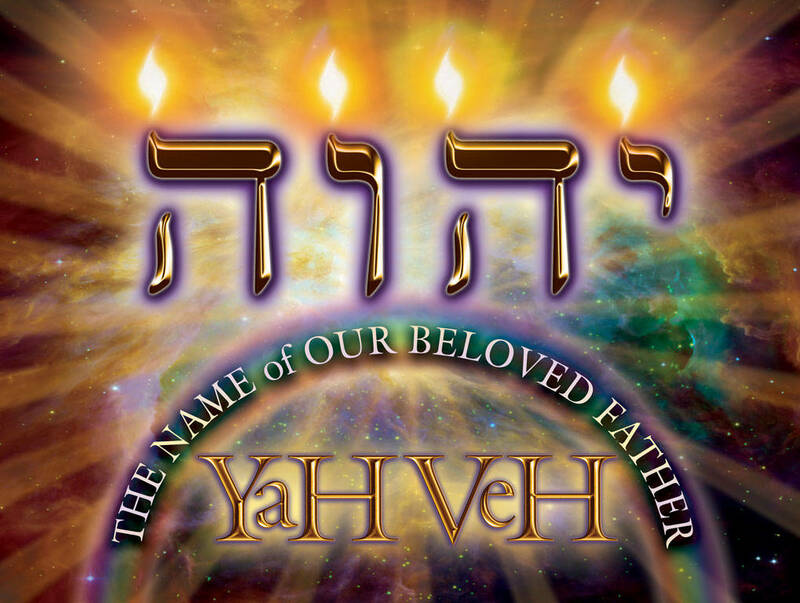 The sweetest joy comes from the ‘Grace’ of One True Almighty God Jehovah/Yahweh through Yeshua/Jesus, Our Messiah. He that is turning his ear away from hearing the law — even his prayer is something detestable. Arrows of trials and tribulations are triggers that strengthens our character, emotionally and spiritually, so that we can become the person that God wants us to be. God’s grace can thaw out a frozen and hard heart but not an unrepentant bitter selfish heart. Sincerity in admitting sins and repentance of it comes with forgiveness from One True Almighty God Jehovah/Yahweh through His Son Yeshua/Jesus, Our Messiah. Unanswered prayers are our unanswered ‘wants’ and NOT our ‘needs’ according to God’s viewpoint. Quiet waiting upon God refreshes the soul and the mind. Struggles and disappointments are part and parcel needed for spiritual growth. He that walk righteously and wholeheartedly with One True Eternal God Jehovah/Yahweh will walk through the fire and not be burned. Wealth of Spiritual Fitness surpasses the attainment of Physical Beauty. When one’s world gets really bleak and dark enough; one can see the stars. Faith works the greatest in us when the irons of difficulties and sorrow and death befalls us. Be the ‘Salt’ to the world – Flavor everyone you meet with God’s Holy Words. When you’re spiritually poor; you’ll be manipulated by the Devil who is the god of this world. Your soul will be the “tug-of-war” between ‘Satan’ and our Almighty Eternal One True God Jehovah/Yahweh/Yahuwah. Don’t lead your life to the edge of questionable things that someday you will slid off the slide; if you fall, others will follow too. Watch your testimony. No violent assault on the senses nor vile accusations nor meanest contemptuous insulting remarks can hurt the favored one of the Creator, the Heavenly One True God, Jehovah/Yahweh. Life is a steep climb; Do not look behind but learn from it – Soldier on with the strength of God that only He supplies till you reach the summit. Praise Almighty God Yahweh for the His greatest Gift of all, His only Son, Yeshua; who is the perfect expression of His love! The consequence of disobedience to the clearly revealed will of God is that the time will come when we will no longer be able to hear God speaking to us. Deepest communion with God is beyond words, on the other side of silence. Never put a question mark where God puts a period. Repentance is coming to term with the choice to turn toward God and away from sin. In heaven, God will not ask us why we sinned; He will ask us why we didn’t repent. If you don’t make up your mind, your unmade mind will unmake you. One of the marks of spiritual maturity is the quiet confidence that God is in control – without the need to understand why He does what He does. Loving God requires total surrender of your life to Him; worshiping and obeying Him whole-heartedly so that His Spirit will enable and empower us to resist the evil one. Character is not built by battling and excitement alone. The harvest is not ripened by the thunderous forces of nature, but by the secret silent invisible forces. So the best qualities of our spiritual lives are matured by quietness, silence and commonplace. Pray with faith; Trust in God. To forsake Christ for the world, is to leave a treasure for a trifle….eternity for a moment, reality for a shadow. Human compliments are like perfume. Smell them, enjoy them while they last. Please don’t drink them; they will poison you. Honoring and respecting others will not happen when a superior or holier-than-thou attitude is present. Every time a thought of superiority or vanity moves you, examine your conscience to see if you have kept all the commandments. Our circumstances are not an accurate reflection of God’s goodness. Whether life is good or bad, God’s goodness, rooted in His character, is the same. Blessings hemmed with praise will not unravel. Raise your children to Honor you as parents and they’ll do likewise for their own. If you can’t pray a door open, don’t pry it open. Today I will face my problems, unwrap them and seek to understand their component parts, spread them out before the Lord, thank Him in advance for what He’s going to do, follow orders for what I am to do, and stand by to watch His miracles. To Know the will of God is the greatest Knowledge, To Find the Will of God is the greatest Discovery, To Do the Will of God is the greatest Achievement. God’s way of forgiving is thorough and hearty, – both to forgive and forget; and if thine be not so, thou hast no portion of His. To display His eternal attributes in their inexhaustible variety, the Lord Almighty God made the green fields of time and space. Love of self is the basic sin from which all others flow. The moment a man makes his own will the center of life, divine and human relationships are destroyed. Obedience to God and charity to men both become impossible. The essence of Christianity is not the enthronement, but the obliteration of self. A final word: Be strong in the Lord and in his mighty power. Put on all of God’s armor so that you will be able to stand firm against all strategies of the devil. Grow angry slowly, there’s plenty of time. When the Explorer is ready; the Guide will appear. Hasty judgements are generally faulty. The wise man’s promises are like dew on the field. Our greatest victories are won on our knees and with empty stomachs. Even though his stomach is satiated, his eye will not be satiated. Impenitent, unhumbled hearts are.. not reclaimed by God’s rebukes because they think themselves wronged by them. Evidence of our hardness is that we are more concerned about our sufferings than our sins. Do not sweep someone else’s home while yours is dirty. When you sin or done something wrong; quickly assume responsibility and be accountable for it; do not cast your wrong nor blame it on someone else; lest God be angry and cast His wrath upon you in due time. A mother’s tenderness for her children is as discreet as the dew that kisses the earth. Pride made the boaster a beast; as once before it made an angel a devil. Youths talk first and then listen, the elderly listen and then talk. We must convince by reason, not prescribe by tradition. Make and Take Time for God; that’s True Worship and Reverence to Almighty One True Eternal God, Jehovah (Yahweh) who Loves you so much by sacrificing His Only Son and Our Messiah, Jesus (Yeshua) for our sins. Satan dupes his victims. He stalks through the land, dabbing the pleasure of sin with a delusive sweetness,and soon after his victims, intoxicated with the poisoned draught and hardened by the deceitfulness of sin, lose all consciousness of their terrible danger. “IF” is a tiny word with enormous ramifications. God shelters those who put their whole trust in Him. Out of the the presses of pain, Cometh the soul’s best wine, And the eyes that have shed no rain, Can shed but little shine. Temptations vary according to the weaknesses of each person. Commit ourselves fully to God who judges rightly, and we can surely deny ourselves the temptation of worldly lusts. The wolf changes his hair but never his nature. Treat thoughts as guests and wishes as children. Human Beings often go to great lengths—concocting a myriad of lies—to justify their own thoughts, words and actions. To have been silent never does harm, but to have spoken does. Ultimately, in our lives, God is the One who call the shots. Our reward for self-surrender is well worth the cost; We will earn eternal life and joy in God’s Kingdom! The roots grow deep when the winds are strong. One can never sin ‘cheaply’, there’ll be a very heavy and high price to pay for one’s iniquities. Patience is one should try to muster; for eternity will right all the wrongs of time. Bible is The Compass of our Lives. Sin is Clearly Disobedience To God and Deafens the Ears. A person led by self-will commits a very serious sin by refusing to learn God’s truth. Though there are Different Penalties for Different Sins But Almighty God Judges Fairly and Accordingly. God is Our Refuge in times of trouble and He’ll Deliver us from Tribulations. True privilege, however, is to know God and be known by Him; surpasses all riches the world has to offer. True righteousness is a humble relationship between man and God and between man and man that promotes well-being and peace. When the defense mechanism of one’s self-control is missing or neglected, people stumble into foolishness and disgrace and eventually it leads one to sin. Human nature is just naturally self-centered; they are fully self-absorbed and narcissistic to such varying degrees that’s only hell-bent on their own pleasures and the need to be instantly gratified and satiated. Read it through, write it down; pray it in; work it out; pass it on. The word of God changes a man until he becomes an Epistle of God. Adversity makes men remember God. Dependence upon God and One Eternal Almighty God Jehovah alone makes heroes of ordinary people like you and me. Prayer is not so much an act as it is an attitude – an attitude of dependency, dependency upon Almighty God alone. God has the right, and my permission, to rearrange my life to achieve His purposes in which I know that everything will work out as my Heavenly Father Jehovah provides the best for me. The best things are nearest: a living beating heart, breath in your nostrils, light in your eyes, flowers at your feet, duties at your hand, the path of Almighty God just before you. God can and will change our circumstances, but sometimes He waits for us to show real desire for change as well as our faith in Him. Rich is the person who has a praying friend. We cannot speak of the hidden manna unless we have the taste of it in our mouth. We cannot speak of the living water unless it be springing up within us. It takes a great man to give sound advice tactfully, but a greater one to accept it graciously. Our responsibility [for] our sinning brother is not created by the fact that he has wronged us, but by the fact that he has wronged himself. When you resort to shouting in conflict, you are reacting in the flesh. You have lost control of the only person you can control: Yourself! We can never hear the warning often enough. The tongue (or typing finger) may be small, but oh so deadly!! ; when not under the sanctifying grace of God. If you are having difficulty loving or relating to an individual, take him to God. Bother the Lord with this person. Don’t you be bothered with him – leave him at the throne. How can we be strangers, if we both follow Christ, our Messiah and Redeemer; and His Father, the One True Eternal God Jehovah? In the Church of Almighty God Jehovah and Jesus Christ; two opposite dangers are to be recognized and avoided; they are a cold heart and a hot head. Salt, when dissolved in water, may disappear, but it does not cease to exist. We can be sure of its presence by tasting the water. Likewise, the indwelling God and Christ, though unseen, will be made evident to others from the love which they impart to us. Wisdom is knowledge applied. Head knowledge is useless on the battlefield. Knowledge stamped on the heart makes one wise. Do what you can, being what you are. Shine as glow-worm if you cannot be a star. Work like a pulley if you cannot be crane; be a wheel grinder if you cannot drive a train. Be the pliant oar if you cannot be the sailor; be the needle if you cannot be a tailor… Be the sharpened sickle if you cannot be the reaper. In Proverbs we read: “He that winneth souls is wise.” If any man, women, or child by a godly life and example can win one soul to God, his life will not have been a failure. He will have outshone all the mighty men of his day, because he will have set a stream in motion that will flow on and on forever and ever. We don’t always need to know where we are going as long as we know whom we are following. Almighty God is in control. Even when we wind up in strange places or unusual circumstances, our Heavenly Father is not caught by surprise. To acknowledge you were wrong yesterday is to acknowledge you are wiser today. When you see clouds gathering, prepare to catch rainwater. A foolish disrespectful son brings grief to his father and bitterness to the one who bore him. One does not become great by claiming greatness. The most priceless gift every human on earth has received from the One True Eternal Almighty Creator God Jehovah is His Son, Yeshua/Jesus Christ, our Messiah, Redeemer and the Atoner for our sins. Among a hundred virtues, filial piety is the foremost. Happy are those conscious of their spiritual need. When you drink from the stream; do not forget its source. The Bible: God’s Love Letter to Mankind. Character is Paramount if one teaches moral truths. Great character is made not through luxurious living but through suffering. “Silence”; at times, seems to be the most deafening reverberating loudest sound. A pleasant word is a bright ray of sunshine on a saddened heart. There’s an awesome power that comes from waiting on God. God hates SIN and He will surely punish all sinners. The old should be treated with due respect. Children should be treated with gentleness. Connect with God Today and He’ll Walk with your Tomorrows. School of Sorrow journeys onto School of Faith where fruition abounds in leaps. The Greatest Blessing from Almighty God is a relationship with Him and not a blessing of abundance of fame or fortune on earth. Though winter is on my weary body; spring is singing in my heart. Seek Righteousness; Seek Humility; Seek Love; but most of all, Seek God! Suffering is a wonderful potent fertilizer for the roots of character. When men speak ill of you, live so that nobody will believe them. Keep your emotions under control: do not let it roller-coaster ride you to disaster or maybe even to hell. If you direct and manage your thoughts and control your emotions, you will ordain your destiny. Remove unwanted non-beneficial ugly spots from your character. It ruins your life! Your whole destiny is involved in the attitude you take toward your sin. Kneel before our Father and God Jehovah and reverence Him for His awesome power and then in prayer of silence; wait on Him with an attitude of listening. As long as God gives me any kind of income, I am going to pay Him the tenth.Remove unwanted non-beneficial ugly spots from your character. As long as God gives me any kind of income, I am going to pay Him the tenth! There’s a big difference between being humiliated and becoming humble. If true humility is not in the heart, the eyes will show it. Eyes will never be satisfied till we are seeing and appreciating all the amazing wonders of God’s creation. Genuine joy is found in the Lord. The most ferocious monster in the world has his den just behind the teeth.